I'll give the New York Fed some credit: they're man enough to invite dissidents in to smack them upside the head with a 2x4 of Truth. For whatever reason, the groupthinking central planners allowed critics to come tell them just how horrible they are. And Robert Wenzel and Jim Grant did not disappoint. Click on over and read the whole things. Zimbabwe Ben: keep those deficits coming; I need more debt to monetize! Federal Reserve Chairman Ben Bernanke on Wednesday warned he won’t be able to save the economy if Congress takes the country over a “fiscal cliff." The Fed chairman continued to sound the alarm about the "fiscal cliff" the nation is facing at the end of the year, when a slew of policy changes are set to take effect that could drain billions of dollars from the economy. Yeah. Four years after the financial crisis is obviously waaaaay too soon to stop running Greece-sized deficits. Party on, Boehner! 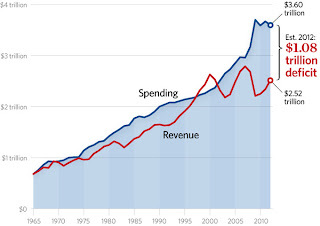 For a more adult view of our nation's fiscal insanity, see Federal Budget in Pictures from Heritage.org. April 24 (Bloomberg) -- A case of mad cow disease has been found in a dairy cow in central California, John Clifford, the USDA’s chief veterinarian, told reporters today in a briefing in Washington. The animal was found at a rendering facility, Clifford said. Its meat did not enter the food chain and the carcass will be destroyed, Clifford said. This is the fourth confirmed case of the brain-wasting disease in the U.S. cattle herd since the first was discovered in December 2003 in an animal that came from Canada. But, hey, there probably aren't any documented cases of people getting mad cow disease through milk. The hormones and antibiotics probably kill the disease anyway. Drink up! UPDATE: Your USDA-factory-farm-complex at work. This, from funnyordie.com, is one of the funniest things I've seen in a while. Really strong language warning. If you don't have the sense of humor of a 12-year-old boy, don't even go there. Volvo has an equivalent. 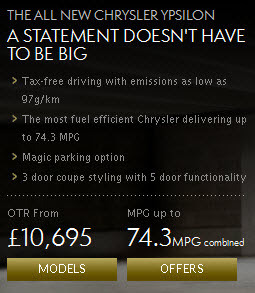 I'd buy that car if it were available in the US. PONTE VEDRA BEACH, Fla. -- There are a lot of fans who would give anything just to spend a couple of minutes with Tim Tebow. One couple is willing to spend $100,000 to spend a day with the New York Jets quarterback. "That day I feel like I've got to do a few extra things to be special, you know? I've got to try to be a little bit better." "I think Tim was stunned," Dellenback said. "Then I'm sure he went in his head and thought, 'What am I going to do for a day?' But it's great. Now that he knows what he's going to do, he's so excited to do it." We can read between the lines ESPN, well done reporting on the perverted world of sport. But 100K?!? Would Jenna Haze cost that for a day? Look what just popped up in the sleepy little beach town of Leucadia, California. 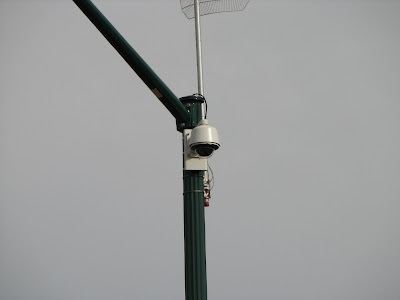 Look... up in the sky... it's a bird... it's a plane... it's... a government surveillance camera recording citizens' activity. I'm guessing the city got a federal grant to install it. Just for traffic safety, you know. Nothing to be alarmed about. And to get the sheeple used to being monitored, much as they've become accustomed to being groped by TSA goons for the privilege of air travel... or to allowing no-knock warrants and asset forfeiture without due process in the name of the "War on Drugs." Heck, no one even noticed when Obama signed a bill allowing the indefinite detention of U.S. citizens without charge. Are you OK with this, America? Look who's cited in the Journal of Gender, Social Policy & the Law: little ol' W.C. Varones! 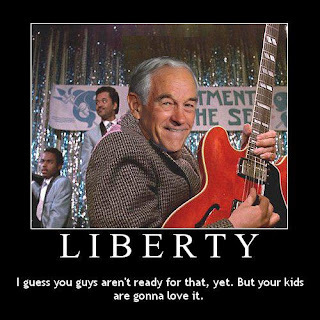 Ron Paul: Liberty. "I guess you guys aren't ready for that, yet. But your kids are gonna love it." Stocks dipped a little today, and gold and gold stocks were worse, on Fed minutes indicating no imminent QE3. Sure, we could get a brutal correction this year in stocks, gold, or both. You could argue Bernanke needs a bad correction politically before he can fire up the printing presses again. But keep your eye on the horizon. Long term, there's no way the $15 trillion (and counting) in debt can ever be paid back in sound money. Nobody can afford sound money -- not homedebtors, not the banks, and certainly not the federal government which wouldn't be able to make interest payments without slashing Social Security and Medicare. Therefore, there will be no sound money. Devaluation is the only way out. Real assets for the long run. "Ultimately I am confident that the Supreme Court will not take what would be an unprecedented, extraordinary step of overturning a law that was passed by a strong majority of a democratically elected Congress," Mr. Obama said in the Rose Garden appearance.Strong majority? It passed 219-212 after months of backroom deals, bribery, arm-twisting, and lies. That's a strong majority?